Funded under the Horizon 2020 “Smart, Green and Integrated Transport” Programme, the NOESIS project will identify the critical factors/features which lead to the successful implementation of Big Data technologies and services in the field of transport and logistics with significant value generation from a socioeconomic viewpoint. This will be achieved through the examination of areas and contexts throughout Europe, in which ICT investments and exploitation of data are implemented. The impact of Big Data will be evaluated in a series of transportation use cases (Big Data in Transport Library) by developing and applying a ‘Learning framework’ and a Value Capture mechanism which will estimate the expected benefits and costs. Ortelio acts as project coordinator of NOESIS, being involved in all key phases of the project, and leading the development of the Big Data Decision Support tool for identifying the underlying patterns of “successful” applications of Big Data in transport. NEWBITS will foster a business ecosystem approach for C-ITS which acknowledges the context of economics of networks by introducing a higher conceptual level than that of individual organisations, focusing at how organisations create value within the context of the networks in which they interoperate. Ortelio acts as project coordinator of NEWBITS, being involved in all key phases of the project, and leading the innovative business modeling under a value network analysis scope. Funded under the Horizon 2020 “Smart, Green and Integrated Transport” Programme, the AW-Drones project aims to facilitate the on-going European Union regulatory process for the definition of rules, technical standards and procedures for drones. AW-Drones will provide a knowledge-base of “best practices” to support the European Aviation Safety Agency (EASA)’s regulatory process, and contribute to the identification and validation of a well-reasoned set of technical standards for operations, appropriate for all relevant categories of drones. The standards will be presented into an easy-to-navigate knowledge platform, open to all stakeholders. Ortelio is involved in all phases of the project and is responsible for developing the AW-Drones knowledge platform. Funded under the Interreg Europe programme, the “EXTRA-SME’s” project aims to improve policies in order to boost SME competitiveness and extraversion in EU coastal and rural areas where aquaculture is a driver of the regional economy. 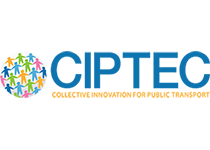 Ortelio participates in the development of guidelines for stakeholder group meetings, as a subcontractor of the Lapland University of Applied Sciences in Finland. 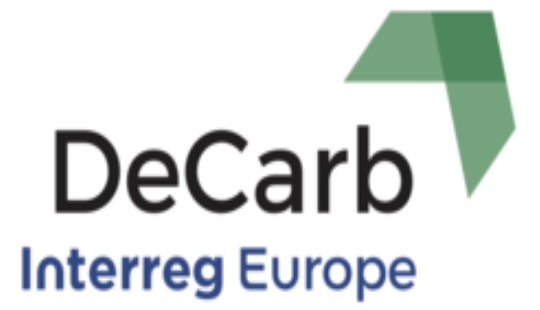 The “DeCarb – Supporting the clean energy transition of coal intensive EU regions” project is funded under the Interreg Europe programme. Its objective is tobring together 9 partners (9 countries), to exchange experiences & transfer knowledge on how to transition from the carbon-intensive era towards the clean energy future. It will support regions to secure sustainable development, economic & societal stability, and a role in the 2030 energy mix. Ortelio is conducting a SWOT analysis to determine decarbonisation growth pathways in partners’ territories, as a subcontractor of the House of Energy (HoE) in Denmark. Funded under the Interreg Europe programme, the “Water reuse policies advancement for resource efficient European regions – AQUARES” project aims to achieve efficient water management through water reuse, profit from the opportunities in the water market, and secure the protection of water bodies. Ortelio will assess current and future technologies in water reuse applications in the agricultural, industrial, urban and recreational sectors, and develop a water reuse technology application guide, as a subcontractor of the Euro-Mediterranean Water Institute (IEA) in Spain. Funded under the Interreg Europe programme, the INVALIS project “Protecting European Biodiversity from Invasive Alien Species” aims to improve policies on biodiversity and environmental protection, by supporting policy measures for the prevention, early detection, control and eradication of invasive alien species in natural ecosystems. Ortelio is supporting the design and implementation of the project’s online and offline communication strategy, as a subcontractor of the Zemgale Planning Region in Latvia. Funded under the Interreg Europe programme, the “CONDEREFF – Construction and Demolition Waste Management Policies for Improved Resource Efficiency” project aims to accelerate policy work on the improvement of resource efficiency and introduce green growth opportunities in the countries of the partnership, regarding C&D waste management. Ortelio participates in the development of a methodology to investigate the economic potential of C&D waste and corresponding priority areas for regional C&D recycled materials markets, as a subcontractor of ISW – Institute for Structural Policy and Economic Development in Germany. Funded under the Horizon 2020 “Smart, Green and Integrated Transport” Programme, the CIPTEC project aims to bring a new thinking and innovative solutions (service concepts and business models) for public transport, in order to create a favorable environment for public transport growth. CIPTEC will find, analyse and assess the key market and social trends for their potential effect on Public Transport customers and will try to validate and classify the opportunities and threats imply for urban public transport. Ortelio is actively involved in all phases of the project, ensuring that the identified innovative practices will be well branded to find their way to the market.